In this current series of posts on faith, I have previously taught about James 2:14-26 with a focus on the concept of “dead faith.” But in this final post on faith, I wanted to focus in on this famous verse of James 2:19, and show why people who quote it do not understand what James is saying. Let me give you an example from Twitter… By the way, I dislike Twitter Debates. It is impossible to discuss anything tangible on Twitter. This picture is ironic in so many ways. It misquotes the text in several ways to reinforce a misapplication of the text itself. But this is what often happens with James 2:19. Note that I didn’t tweet the same thing to him over and over and over… he responded multiple times to one of my tweets, and I don’t know how to get rid of that when embedding a Tweet into WordPress… if anybody knows how, let me know! @jeremyers1 No because as James 2:19b says "the devils also believe, and tremble". @jeremyers1 Because as James 2:19b says even "the devils also believe, and tremble". So what does James 2:19 mean? People believe millions of things. I believe that this chair I am sitting in will hold me up. I believe that the earth orbits around the sun. I believe that my children love me. I believe that coffee is a delicious beverage which helps me wake up in the morning. But none of these beliefs, even though they are correct, will give me eternal life by believing them. The same holds true when it comes to beliefs about God and Jesus Christ. I can believe a lot of things about God and Jesus. I believe that God exists. I believe that God consists of the Trinity: Father, Son, and Holy Spirit. I believe that God created all things, that He is holy, righteous, loving, and good. Regarding Jesus, I believe that Jesus was God in the flesh, that He was born of a virgin, lived a sinless life, died on the cross, and rose again from the dead. I could go on and on. But guess what? Just as believing that the earth orbits around the sun does not give me eternal life, so also, none of the beliefs I have just stated in the previous paragraph will give me eternal life by believing them. The Bible is pretty clear that to receive eternal life, you don’t just need to believe. You have to believe in the right person for the right thing, namely, you have to believe in Jesus for eternal life (John 3:16; 5:24; 6:47). Eternal life is not given if I believe in Moses for eternal life. Nor is it given if I believe in Jesus for infinite wealth. If I believe in Moses for eternal life, I am believing the wrong person for the right thing, but if I believe in Jesus for infinite wealth, I am believing the right person for the wrong thing. According to Scripture, we must believe in Jesus for everlasting life. So, what do demons believe? Believe it or not (ha ha! ), demons are probably more correct in their theology than most humans. Though I cannot be certain, I assume that demons believe that God exists as the Trinity, and that God is holy, righteous, and good, and that Jesus was God incarnate, born of a virgin, lived a sinless life, died on the cross, and rose again from the dead. In fact, demons probably know more about God than we do. Demons probably have better theology than many Christians. That is, demons probably believe more accurate truths about God than many Christians do. The problem with demons, however, isn’t in what they know about God, or in what they believe. Their problem is that they don’t like what they know about God and believe that they can rebel against God and win (this is where their beliefs are wrong). Of course demons believe. Humans believe things. Demons believe things. Even animals believe things. We have three cats. When I get up in the morning, one or two of them is always there in the kitchen, looking at me, expecting me to either feed them, or let them outside to do their business. They believe that I am the one who can make these things happen for them. But so what? Do cats have eternal life because they believe in me for food and that I can open the door? Of course not! So also, demons believe many things, but they don’t get eternal life simply because they believe. When it comes to receiving eternal life, it is not simple belief that matters, but believing in the right person for the right thing. More specifically, what is James 2:19 talking about? What is the argument? What is the point? Below is a super brief synopsis of how to understand James 2:14-26. James is writing to believers. First, James is not writing an evangelist pamphlet telling people how to receive eternal life. He is writing to believers about how to live as followers of Jesus and function within the church. Many scholars and pastors have noted the numerous parallels between the book of James and the Sermon on the Mount in Matthew 5-7. Just as the Sermon on the Mount is the discipleship manual of Jesus, so also the book of James is a reworking of the discipleship manual for Christians under the pastoral care of James. He is not telling these believers how to receive eternal life, but is writing to them based on the assumption that they already have eternal life, but need some advice on how to look and live like Jesus in the world. James 2:14-26 deals with living a profitable Christian life. The issue in James 2:14-26 is not about gaining or proving that one has eternal life, but rather, living as a profitable servant of Jesus Christ. James mentions profit several times (cf. James 2:14, 16) and the opposite of profit–being dead or useless (James 2:17, 20, 26). The “profit” he is talking about, of course, is not monetary gain, but living as an energized, successful, fully-committed, faithful, generous, loving, caring follower of Jesus Christ. None of us want to live useless lives, but profitable lives that are useful to God and His rule and reign on earth. In James 2:14-26 we are told how. Don’t just pray and believe God; Do Something! The main point of James 2:14-26 is that believing God can do something is good, but if we really believe God can do something, we will personally seek to be part of the solution. Specifically, if you see someone who is hungry or without clothes, it is okay if you tell them you are going to pray for them, or if you believe that God can provide for them. But more than just pray for them, and more than just believe that God will give them food and clothes, why don’t you actually be an answer to your own prayers and your own faith, and give them food and clothes!? When people are homeless, jobless, hungry, sick, dying, struggling, they don’t need thoughts and prayers. They need Christians do actually do something. This is exactly the point that James is making as well. Do you see? The “believing” (or faith) of James 2:14-26 has nothing whatsoever to do with eternal life. The person is believing that God can give food and clothing to the hungry and the naked. There is nothing here about believing in Jesus for eternal life, and you do not get eternal life by believing that God can clothe and feed someone. Nor do you get eternal life by giving people clothes and food. Again, eternal life is given to those who believe in Jesus for it. Now, if James had stopped writing at James 2:16, there never would have been the misunderstanding about the relationship between faith and works in this passage. Everybody would have immediately recognized that James wants us to do more than just pray for people and state our belief that God can help them. We should actually do something for those in need. This point of James is pretty clear in James 2:14-16. But he goes on to write James 2:17-26, and this is where all the problems with this passage enter. In the rest of this passage, I am not going to work though the entire passage in detail, but just provide a few of the highlights, and point you to the text of a sermon I preached on James 2 several years ago, and I also have a shorter version in Podcast episode 124 when I discussed James 2:14-26. But here is the main argument of James 2:17-26. The word “dead” does not mean nonexistent, but useless, unproductive, unprofitable. Someone may still have faith, but if that faith is not put into action, it is not doing anybody any good. It does not help those who are hungry and without clothes, and it does not help the person who has the faith. Since the context of this passage is about profitable faith, then “dead” faith is unprofitable faith. So we must never say “Dead faith is no faith” for that is absolutely not true. Dead faith exists, it is just unproductive and unprofitable. Someone does not agree with what James is saying, and begins to state an objection in James 2:18. On this, every Bible translation agrees. Where Bible translations do not agree is where the objection ends. If you compare Bible translations on where they put the second set of quotation marks, you will see that they are all over the place. 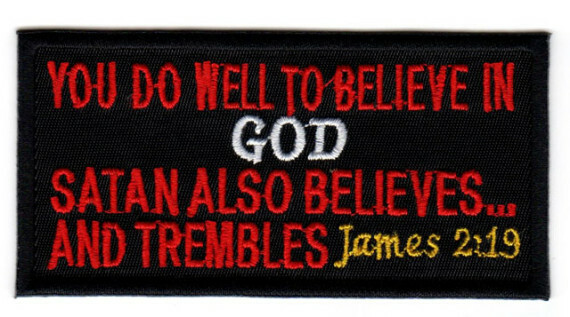 Therefore, the statement “even the demons believe, and tremble” is NOT from James, and is NOT in support of his argument, but is from someone who does not like what James is saying, and is objecting to the point James is making. In other words, when we quote James 2:19, “even the demons believe” we are siding not with James, but taking the side of someone who disagrees with James. That’s rubbish. The two are not connected at all. Take the cardinal theological belief of Judaism as an example: the belief that God is One. The demons believe this, but it doesn’t affect their behavior. All they do is shudder, but beyond this, this still rebel against God.” So their faith does nothing for them. Note, by the way, that faith in Jesus for eternal life is NOT what demons believe. Sure, we can assume that demons believe that if people believe in Jesus for eternal life then those people will receive eternal life, but the demons themselves cannot believe in Jesus for eternal life, because eternal life has not been offered to them by Jesus. But this is not the belief of demons that James is writing about. The only thing demons believe in this context is that God is One, which is the central and most important belief in Judaism. In the rest of the passage (James 2:20-26), James refutes what this objector said. He notes that the objector used the most important belief in Judaism, so James says “Oh yeah? Two can play that game,” and to prove his point he uses the most important figure in Judaism: Abraham, the father of faith. 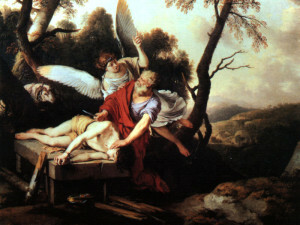 And he uses a particular event in the life of Abraham to prove that Abraham’s faith led him to obey God and perform certain actions, which in turn, allowed people to recognize that Abraham was truly God’s friend. It is important to note that the event James is referring to takes place in Genesis 22, many years after the initial faith of Abraham in Genesis 15. James then goes on with the knock-out punch. He has proven his point with the Forefather of Faith, Abraham, so he now takes the opposite extreme and shows how his point applies to the foreign, sinful, prostitute Rahab. Rahab also believed something about God, and when the spies came to her, she acted on what she believed to deliver and rescue them. If she had just believed in God and done nothing, she still would have had the faith, but it would have done nothing to deliver her, her family, or the two spies. But because she acted on her faith, her faith became profitable. James has proved his case and proved the objector wrong. If all you do with faith is believe, that is well and good, and it is still faith, but to truly be profitable, effective, energizing, and helpful in your own life and in the lives of others around us, you must act on what you believe (James 2:26). This is the meaning of James 2. So don’t let anyone tell you that faith is not enough when it comes to receiving eternal life. Of course it is! Jesus Himself promises it! But when it comes to helping others, and getting rid of sin in our lives, and clothing the naked, feeding the hungry (James 2:14-26), taking care of orphans and widows (James 1:27), controlling our tongue (James 3:1-12), etc., etc., etc., just believing that God can take care of these situations is not enough. Faith is the beginning, but in all these areas where God calls us to get involved, we must do more than just pray; we must do more than just believe. We must do something! What do you think of this explanation of James 2:14-26, and especially the statement in James 2:19 about the faith of demons? Does it help this passage make more sense to you? Does it help it fit better with what we read in the teachings of Jesus and the writings of Paul? Has it cleared up in your own mind some of the confusion around the role of faith and works? Let me know in the comments below, and if you want more clarification, get my book, What is Faith? The way I look at it is this: what does it really mean to believe? I can say that I believe there is a 100 ft tsunami about to sweep away my house, but if sit calmly in my chair and do nothing about it, I am showing through my actions that I really don’t believe it after-all. If I did believe, I certainly wouldn’t be typing this message right now! Actions (works) are the evidence of true belief (faith). Haven’t read that book by Dickason. How do you know it is a demon and not just a physical problem? Not all health problems have demonic sources. In fact, almost all do not. Is it biblical to believe that demons can inhabit/possess the same ‘temple’ the Holy Spirit inhabits, when we are born-again Christians? I think not. Harold what you have been through would have been frightening and debilitating. Dont underestimate the effect of us all living in a imperfect world and having a body that can get sick and where its systems can go wrong. Yes demon possession can exist for some non believers, but mostly simple deception is the most common effect. Christians can be oppressed and deceived also. However believers also have the protection of the Holy Spirit. I believe Jeremy is correct about physical ailments. I spent many years in helping people find freedom through Christ including oppression issues. Its was clear to me during that time the demonic was defeated on the cross, but not destroyed. Jesus gave us freedom so hang on to that. Importantly a stoke causes great trauma in a person as you experienced. That in itself can cause debilitating side effects. Its worth having that considered. One thought…..Jesus never died for Satan and his demons. Their nature’s were sealed when they rebelled. The provision byJesus Christ,made on the cross, accepted by God the Father….was not provided for the angels …but mankind. Exactly right. But some people think that Jesus might plan to go die for Satan and his demons. If Jesus did this for us, why not for them also? …But we have no revelation in Scripture to say that He will. IF that were the case, we would have no need to know about it, to be honest. Anything that happens between God and the fallen is for them to know. Our purpose is to have faith, love, worship, and serve God. I’m not so sure. We can learn from God’s dealings with them, just as they are learning from God’s dealings with us. I just saw your article about believing not being enough and couldn’t agree with you more. I was researching the James reference for a blog I am writing right now and saw this article. If you go to messianicmoment.wordpress.com, you can read my message called “Believing isn’t Accepting” and I believe (pardon the expression) you will agree we are on the same page about this. God is a God of action: that’s why we are to walk in faith, not sit idly by in faith. God will honor our faithfulness when we are doing things, not while we just sit and wait for Him to give us a “sign.” Yeshua called those that asked for a sign an evil generation; it is said that in places where their faith was weak he couldn’t do many miracles. That’s because faithful obedience is like pushing a heavy rock- it is really hard to start, but as you keep at it the momentum begins to help, and it gets easier to push the more you work at it. But you have to start pushing- it won’t move by itself. Believing the rock is there, and large, and heavy won’t get it moving- you need to roll up your sleeves, get a good stance, and push! When you start pushing you will realize just how large and heavy that rock is. That’s the difference between believing and accepting- it looks one way when you believe but you cannot appreciate or understand it until you start to push. When it comes to salvation, there are no “saved” armchair quarterbacks- you need to be in the game. This article doesn’t fully state my thoughts about faith. It is primarily about James 2. I do think that God gives eternal life to anyone and everyone who simply and only believes in Jesus for it. James 2 is saying that if you want to HELP somebody, faith alone isn’t going to cut it. Faith alone does justify a person before God, but faith alone does not help those in need. Could it be that Jesus CHOSE not to do many miracles there because regardless of what He did the people WOULD NOT believe? I recall that Jesus healed the Gerasene demoniac who had no faith. And what about the other (faithless) corpses who were brought back to life? The seeming problem is with Mark’s expression ‘he could not.’ The Greek phraseology is ouk edunato. This expression is an idiomatic manner of speaking occasionally employed in the New Testament to connote the idea that one, for some reason, chooses not to do something — though technically, he has the ability to do it. In one of his parables, Jesus tells of a man who received an invitation to a great supper. For reasons of his own (though quite unjustified), he declined, saying, “I have married a wife, and therefore I cannot [ou dunamai] come” (Luke 14:20). Having a wife scarcely creates an impossibility! What an eye opener for me. Imho, the source or object of your belief that counts. Faith only in Jesus will get you into heaven, but the question is which Jesus? There are many who profess Jesus such as Mormons and Jehovah Witnesses, but we know that their Jesus is not the real Jesus of the bible. Your example of the woman believing a lot about Jesus I do not agree with her being saved because she doesn’t believe the ressurection. 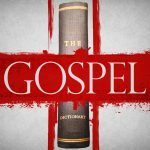 You need to have the gospel preached and heard, understood before you can claim to believe in Jesus. Everyone in the bible who got saved, heard the gospel. the passage at hand is extremely simple to understand and have seen so many make it hard, as seen here. the bottom line, true faith will result in works. works alone do not save, works are the natural result of true faith. love is much the same. as Christ stated, love for Him will result in doing the things He has commanded. to say you have faith in Jesus or to say you love Jesus and do nothing about it is to make a false claim. we are saved by grace through faith as the Bible teaches. as a result of faith we do those things God has asked. Abraham and Rahab did the same. can faith save someone who claims to have faith but does nothing about his claimed faith? that is the question of verse 14, and the answer is clearly no. if the person really had faith his faith would drive natural actions. Jesus said, “Not everyone who says to Me, “Lord, Lord,” shall enter the kingdom of heaven, but he who does the will of My Father in heaven.” – Matthew 7:21. again, those who claim to have faith but fail to do the will of God, the natural reaction of true faith, have no home in heaven. notice the action words that result from true saving faith. Well delivered Nathan. Of all the comments here, in my opinion, you hit it on the head. I, too, thought about the “broad” and “narrow” roads (Matt 7) that we each make a daily choice to “follow”. I think you summarize quite well and succinctly. There is a clear difference between “believers” and “followers”; I can be a believer without being a follower — BUT I can’t be follower without being a believer…. I believe Jesus wants more than just believers. Again, well done Nathan. Lost in all this, is the mention that there is one God not three. Belief in God is Not Trust in God. It is possible to believe in God without trusting Him. James 2:19 (REV) shows the difference: “You believe that there is one God. You do well. The demons also believe—and shudder.” Demons know God exists, but they don’t trust Him. That can happen to Christians too, but we should do what it takes so that our belief in God becomes trust in God. Trust develops because we come to believe the person is trustworthy and are convinced that they are reliable. This almost always comes from having a personal relationship. I can’t tell you how sick that makes me when people say they will pray for me. Why should I believe that when they barely listen they are in such a hurry! We can’t stop for all, that’s true, but there are so many out there afraid of their own shadow. Who would want a faith like that? That sounds like something the prosperity preachers like to say because there is no money involved. What is so hard about, if you can, buying a sandwich or offering some cold water to somebody hurting? The other good Christian saying is boy, that’s a shame! And than driving past somebody in need. Again, we can’t always stop but I hear these things all the time and want to practically grab them by the throat. At least i am honest. All this pretending makes me long for heaven but I know there is still a lot to do by faith. the spirit of christ does compell me when in the world meeting and greeting the world. In fact the spirit of christ confirms and reafirms my faith daily. In fact this happens even when I read his word at home and share it with my family and freinds. Many people say they believe Jesus Christ is God. 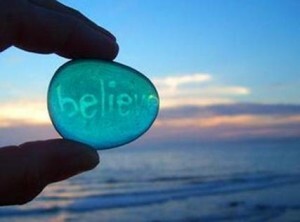 But belief is a spectrum – and sadly many people convince themselves they believe – when they dont. As you say, actions are the evidence of true belief. A single statement from Christ: “Love your enemies and pray for those who persecute you.” If you absolutely believe Christ is God, this would be done without hesitation. Seeing this in action with “believers” is extremely rare. Belief that Jesus Christ is God is the rock from which all else follows. An infirm, unsure belief leads to infirm, unsure actions…. The problem with listening to demons to learn from is that, despite they know the truth all so well, they aren’t going to tell you the truth. “He was a murderer from the beginning, not holding to the truth, for there is no truth in him. When he lies, he speaks his native language, for he is a liar and the father of lies,” (John 8:44 NIV). Fortunately, its God who knows our hearts and can tell who has excepted his son for eternal life. If a person has done that then by grace they will spend eternity with God because of Jesus not because they did good works. The question Nathan raises about about Jesus stating not all who call me Lord Lord will enter the kingdom heaven, is explained where Jesus tells them to get away from him…..key point…”you who practice lawlessness” my viewing of the Greek meaning here is unbeliever! I agree with Jeremy in James 2 its about believing and acting because of a persons faith in Christ. In all the people I minster to and help I rarely say I will pray for you. However I often will pray for them privately. The key issue here is action, the HS has already placed on your heart a burden for that person, what you you going to do about it? eg They have just lost their job and need help now to find solutions (no money, hungry, rent, family, mortgage) God uses us to help them find solutions. We work together with God and that person to find answers. Just telling them you are going to pray for them just doesn’t cut it.